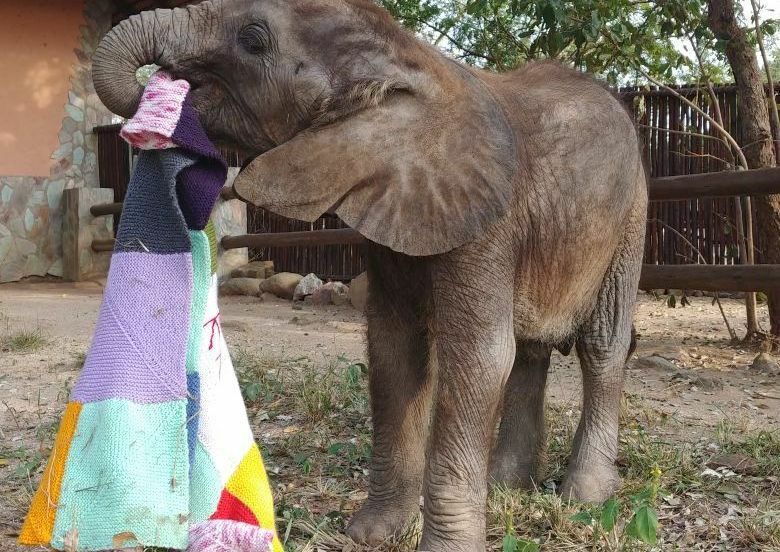 Orphaned elephant, Mopane’s new colourful handknitted blanket from “Raising Rhinos”. For some time now, Phoebee and Baylee have dedicated much of their spare time to raising money for the Rescued Rhinos and Wild Dogs at HESC. 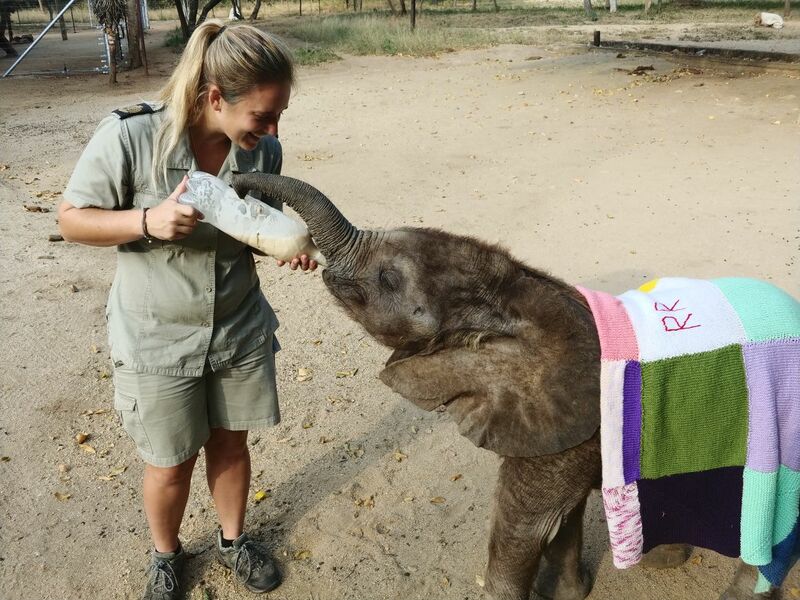 Linri, our Head Curator at HESC, giving orphaned elephant Mopane his afternoon bottle, with his blanket on. 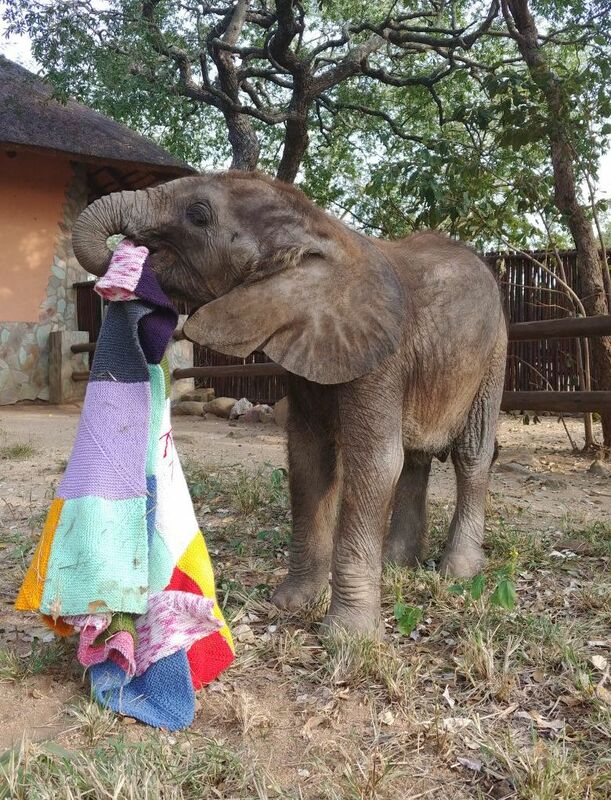 Going into the cooler mornings and nights now, we are sure that Mopane will make good use of this wonderfully bright and happy new “blankey”. 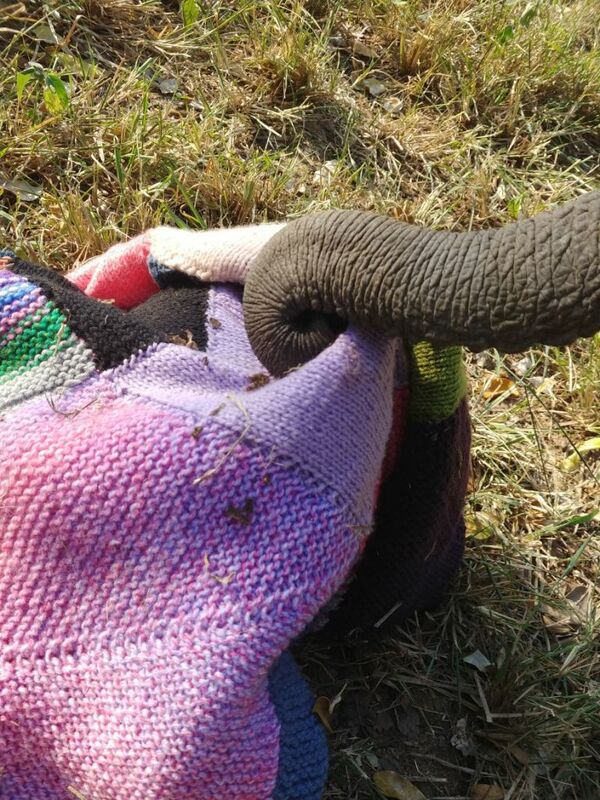 Mopane’s elephant trunk, dragging his blanket. But we are also pretty sure, it will undergo some tough endurance tests in the next months too! Thank you Phoebee and Baylee, for EVERYTHING that you do for HESC, you are an inspiration to us. We just simply ADORE this wonderful blanket. Keep your hearts shining like they do!